When it comes to the world of copier leases it can be hard to decipher who is telling you the truth. At Denver Copier we believe in making copier leases easy, and being honest when discussing a lease. We believe in helping you save money, and getting you the best you can get without breaking the bank. That’s why when you shop at Denver Copier you know you are going to save money on your copier lease. We let you know things that the other guys don’t. One of these money saving tips comes from understanding how lease rates work with copiers. Lease rates work on a step system, and are not adjusted gradually. This means that if you spend more money and cross a certain price threshold, then you can get a better deal. You want a printer that costs $3001 over the course of a 48-month lease. Your bank will decide that your lease rate is $74. Alternatively, you could get the same printer for $2999 for the same lease length. But now the bank will charge you $91 per month. That’s a difference of $17 per month! This will be over $800 during your lease. Other companies may not want to share money saving techniques like this. At Denver Copier we believe in helping our customers get the best deals possible. 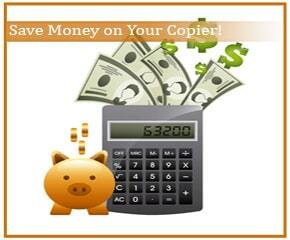 If you want to save money on your copier lease then call Denver Copier today. We can help you make sure you have the best lease rate and are not being scammed by dishonest companies. Call today and we can start saving you money on your copier lease.